The Switch Scale designed by Morph exclusively for Joseph Joseph, provide two different methods of weighing. You can either place items or bowls directly on to its top, or flip over the integrated lid to create a measuring bowl for weighing loose ingredients or liquids. Featuring an easy-to-read back-lit LCD display and touch-sensitive controls, it’s ready to weigh both liquids and dry foods in the following units – gms, lbs, ozs, fl.ozs, mls up to a maximum capacity of 5kg/176.4 fl.oz/11lb/5000ml. 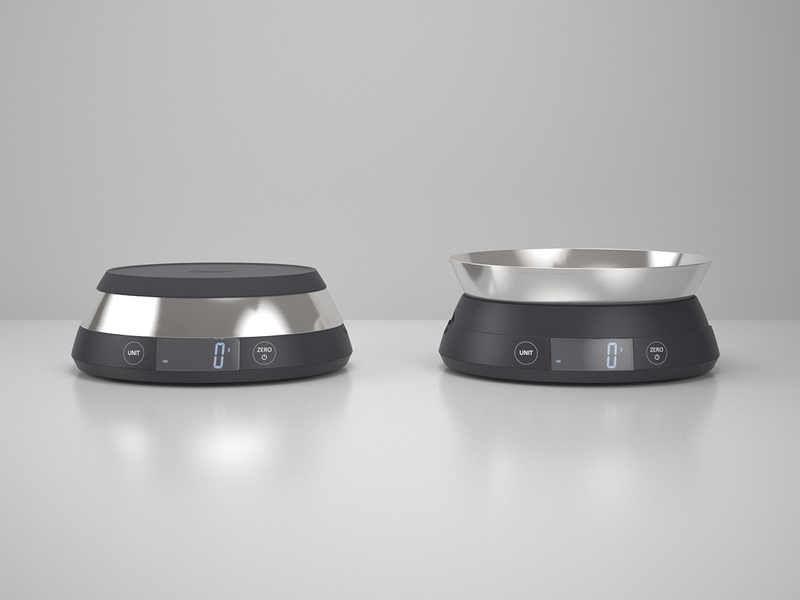 A convenient ‘add and weigh’ function allows multiple ingredients to be weighed during recipe preparation and an auto power-off feature maximises battery life. It also has non-slip silicone feet.